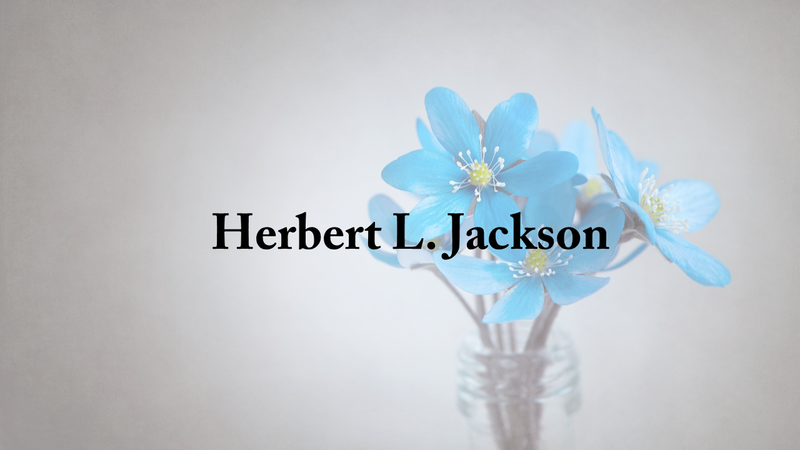 Herbert L. Jackson, 89, of Haleyville, Alabama entered into rest on March 24, 2018 at his home. Mr. Jackson was born on Jan. 22, 1930, in Iuka, Mississippi. Herbert attended Bear Creek High School. He joined and served in the United States Marine Corp for three years. Herbert was also known as “Hoss.” He enjoyed tinkering in his shop and woodworking. Visitation will be held on Tuesday, March 26, 2019 from noon until 2 p.m. at Nichols Funeral Home in Haleyville, where services will be held at 2 p.m. Brother Ricky Thrasher will officiate. Burial will follow in Thornhill Church of Christ Cemetery.